Over Easter break, I had the opportunity to visit Portland, Oregon, a city famous for its outdoor adventures, microbreweries, green living, and exceptional food scene. Aside from a much needed break from Edmonton’s winter, our trip presented a chance to do some design research related to breweries, distilleries and cocktail bars. 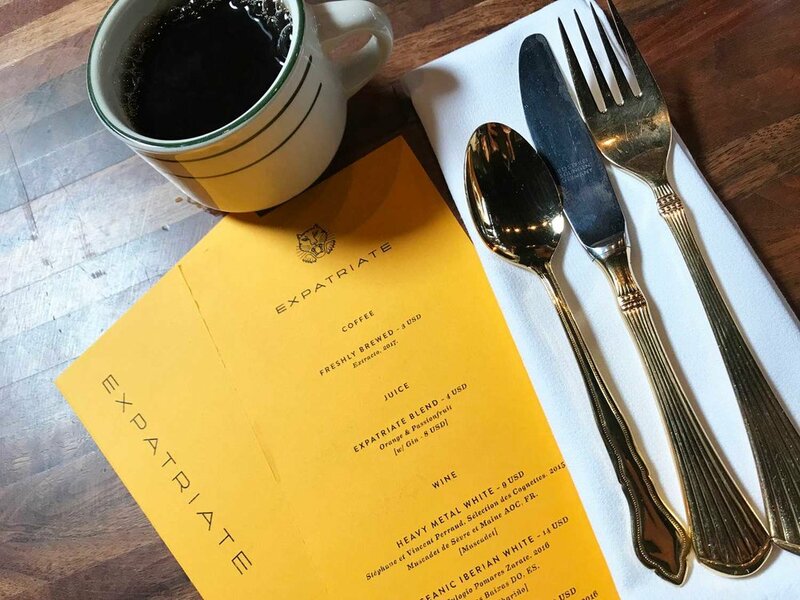 We were also visiting some friends and, though it was our fourth visit to Portland, we were glad to benefit from a local’s scoop of the dining scene. 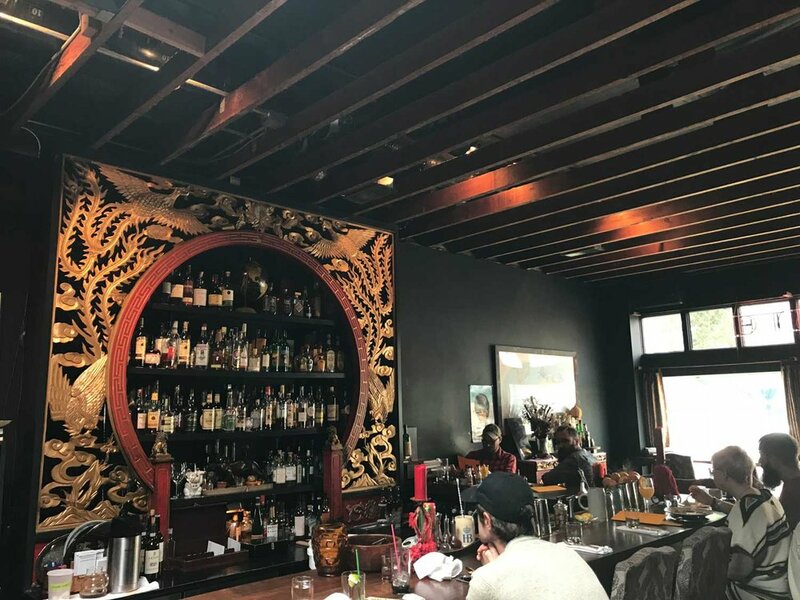 One of our first stops was brunch and cocktails at Expatriate, where food and ambience are Asian-inspired, denoted, in particular, by a red and gold Chinese arch framing the back bar. The restaurant’s brand identity, designed by The Beauty Shop, is expressed through the a collection of international marks and symbols. Dishes were well executed, each one paying homage to the origins of the recipes, but with a unique twist. After exploring the Alberta Arts District and a couple patio beers later, it was time to move on to our next adventure. We decided to hit up Baerlic a brewery located in the Hosford-Abernethy neighbourhood. 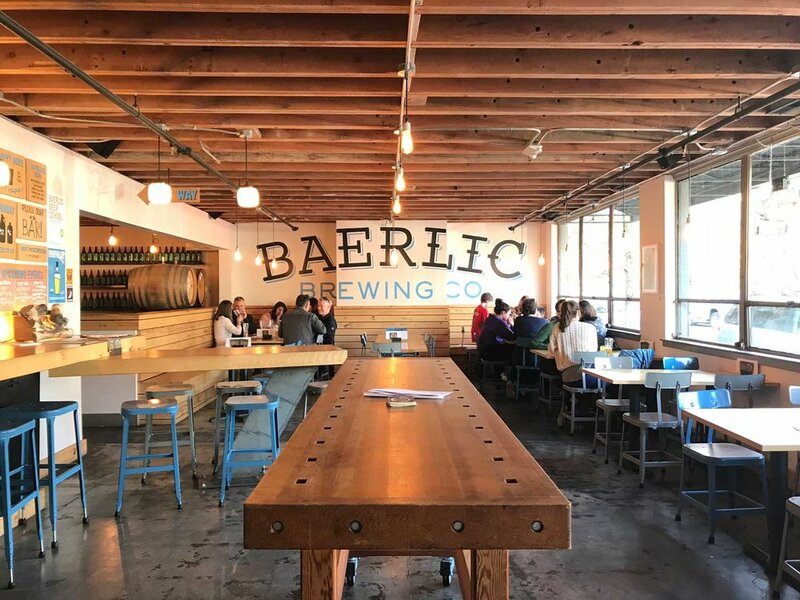 Baerlic’s brand identity, designed by brewery owner Ben Parsons, has various expressions including a monogram, wordmark, and icon. The majority of the bottle and can designs feature a neutral-coloured logo and playful typography with the use of bright colours to showcase different types of beers. 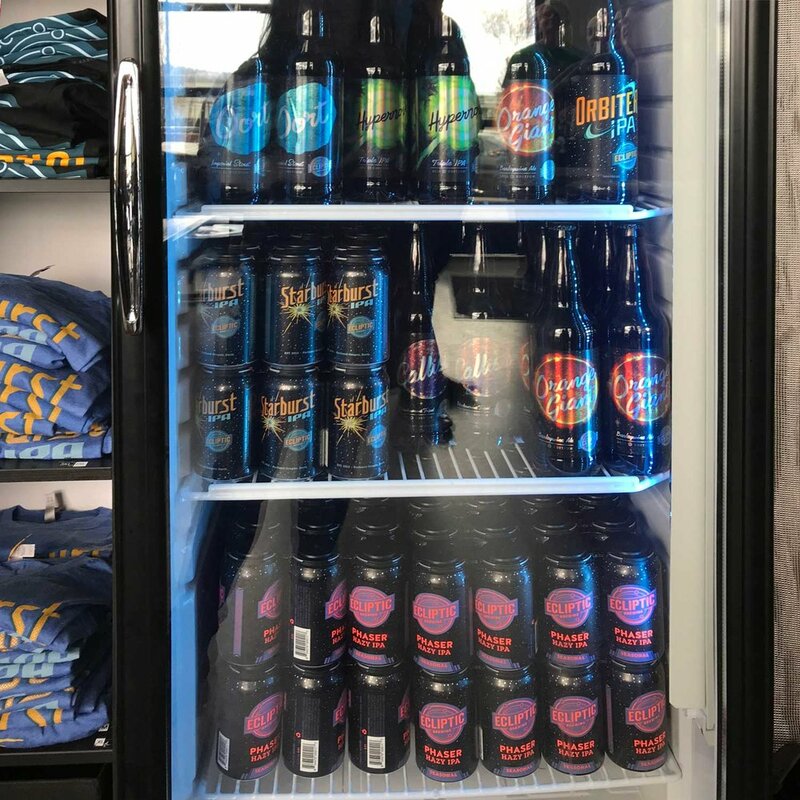 Ecliptic’s beer labels were designed in Portland by Sasquatch Agency and feature the familiar astronomy themes that the brewing company is well known for. Each label exhibits different colours and icons, allowing each beer to be visually differentiated, yet the brand is cohesive and recognizable. The astronomy theme is also carried through the physical space branding and design. House Spirits Distillery, manufacturer of gin, vodka, aquavit, liqueur and whiskey, has a production facility and tasting room located on Portland's Distillery Row in the Central Eastside Industrial District. Of all the spots we visited on this trip, the interior design of this space was one of my favourites. The relationship between physical space design and brand identity was seamless and strong. The interior design is by Osmose and the print and web design was completed by Sarah Cook Design. Large fir baffles with a diminishing repeat around a large window offer a view into the production facilities beyond the tasting room. Lines present in the logo appear in various elements of the space including the bar and display shelves. We ended our trip on a high note with dinner at Bar Casa Vale. The place is known for its Spanish-influenced tapas and cocktails. We were also fortunate enough to be there just in time for happy hour. We had already spent the day's calories, and the small sharing plates were a perfect way to try a selection of things on the menu without subjecting ourselves to too much discomfort. Below is a list of other places we tried on our trip, all great spots to hit if you are visiting Portland. Nong’s Khao Mun Gai - Thai Chicken rice is staple in Thailand. I grew up eating this for breakfast everyday like North Americans eat toast and butter. The way the chicken is poached here and the sauce is exactly how it would be served at a street stall in Thailand. Hat Yai - This place features food from the Southern region of Thailand. I was already stuffed from our two-hour dinner at Daruma, but I couldn’t resist ordering take out from Hat Yai due to all its amazing reviews. XLB - Great soup dumplings and comfort Chinese food.